. Tengupedia - 天狗ペディア　- Tengu ABC-Index . 猿田彦 Sarutahiko the Grand Tengu parades through the town and then walks through the high flames three times. Furubira occupies the eastern end of the north coast of the Shakotan Peninsula facing the Japan Sea. The town is largely built around the Furubira River, which runs from the highlands of the Shakotan Peninsula into the Japan Sea. 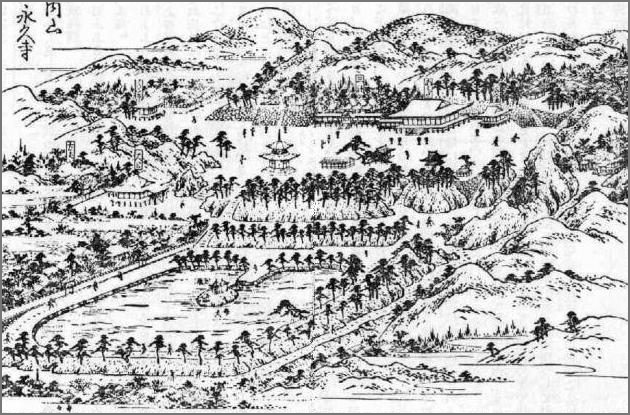 Furubira was established as one of many Pacific herring fishing settlements in the region at the beginning of the Edo period (1603 – 1868). Manganese was once mined at the head of the Furubira River; mining ceased in the town in 1984. The mine was located at Inakuraishi. located near Cape Maruyama, is an active fishing port. Shrimp, Alaska pollack, and saltwater clams are a mainstay of the economy. The Furubira River provides irrigation for the production of rice, potatoes, and soy beans. 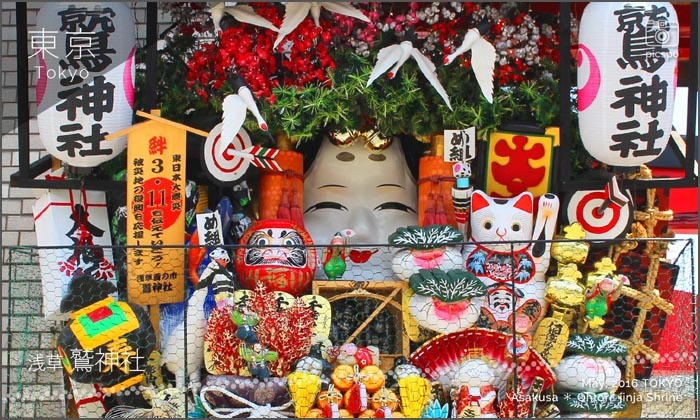 Beef, pork, and poultry are also raised in the town.
. Sarutahiko no Ookami 猿田彦大神 the Great Deity Sarutahiko . 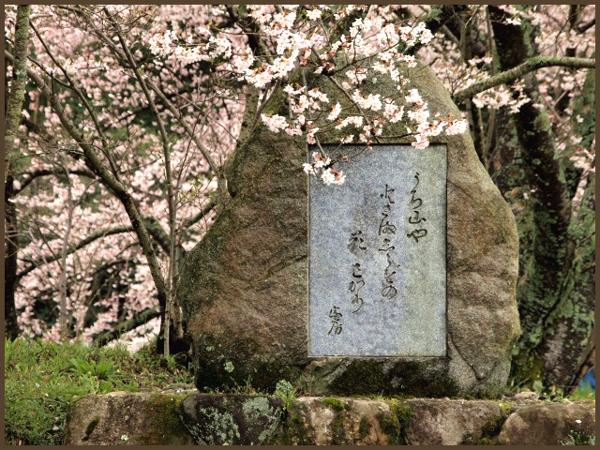 In memory of a battle in 1179, remembering Minamoto no Yoritomo 源 頼朝 (1147 - 1199) and 河野通清 Kono Michikiyo (? - 1181). Michikiyo killed himself 大松 under a huge pine tree. The tree lasted until 1965, when it dried of old age. 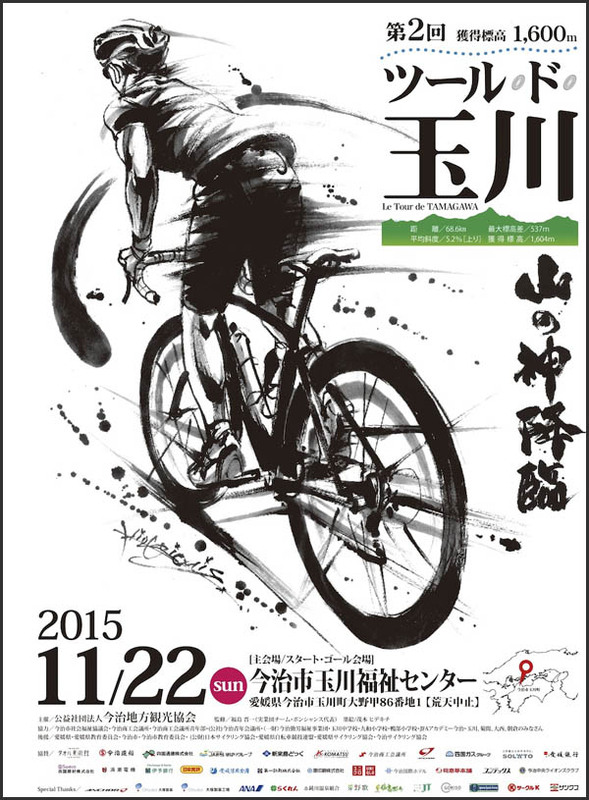 An event to enjoy the villages, gorges and peaks of Japan. 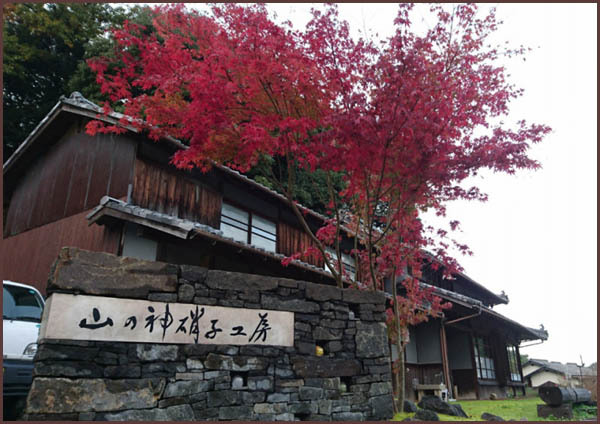 The tour is 68 km long and climbs to an altitude of 1604 m.
. Yamanokami and okoze 虎魚 / 鰧魚 / オコゼ stonefish .
. Yamanokami and yamainu 山犬 wolf . On the first day of the New Year, farmers are not allowed to go to the mountain forest or the fields. 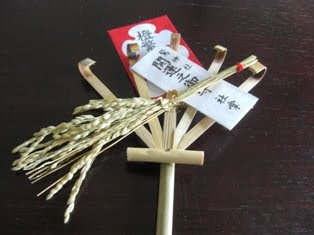 On the 20th day of the New Year, Yamanokami comes out and again farmers do not go to the mountain forest. 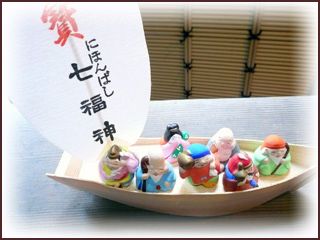 On 盆の16日 the 16th during the O-Bon rituals for the ancestors it is taboo to go fishing. it is taboo to make 味噌 Miso paste.
. muenbotoke 無縁仏 graves of the unknown pilgrims . 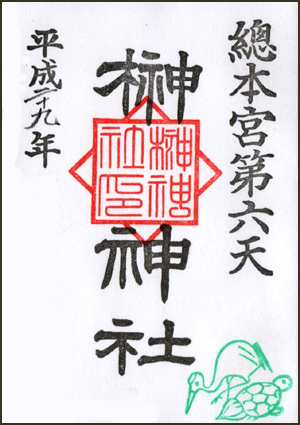 The ninth day of the first lunar month is the "New Year of Yamanokami". If people go to the mountain forest for work, they will met with divine punishment. 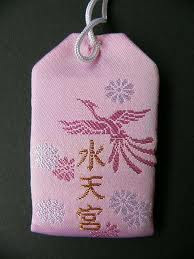 They also make special offerings to Yamanokami. Every month on the 9th day there is a taboo of cutting down trees. 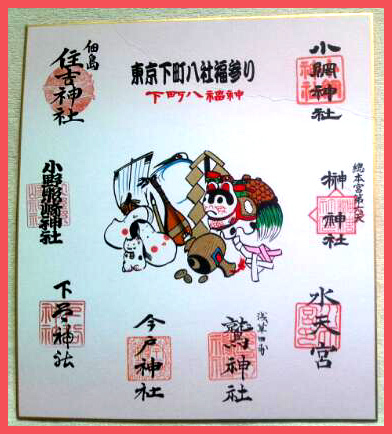 This "New Year of Yamanokami" is also celebrated in 新潟県 Niigata. Yamanokami gets angry easily and curses peopole. The old mountain hag, 山姥 Yamanba, is an incarnation of Yamanokami. But she also brings a good harvest if venerated properly. Deep in the mountain there is Yamauba Jinja 山婆神社, often called バアサン Baa-San and also shrine Oyamatsumi Jinja 大山祇神社, where Yamanokami is venerated. There is a huge boulder with two small caves. 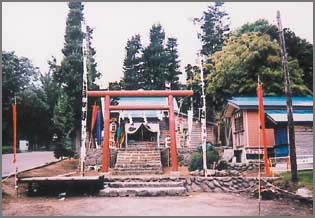 On the right cave ヤマノジサ Yama no Jisa (Grandfather) is venerated, on the left side ヤマノバサ Yama no Basa (Grandmother). The water has been sent to the prefectural government for analysis and found to be quite healthy. So many people came here to get it. The water was also known to cure ear diseases, help weak children and grant an easy birth. They said the water was white because Grandmother uses it daily to wash her rice. Nowadays there is just normal water flowing there and if bad people come, it stopped flowing. 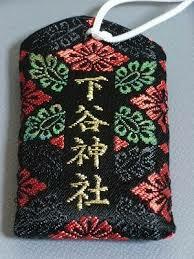 Grandfather was also called 金時さん Kintoki San.
. Yamanba, Yamauba 山姥 / 山婆 Yamanba "mountain hag" . If Yamanokami talks to a person, they should not try to argue with him. In the hamlet 帯江 Obie there is a small sanctuary above the home of the 中村氏 Nakamura family, where Yamanokami is venerated. 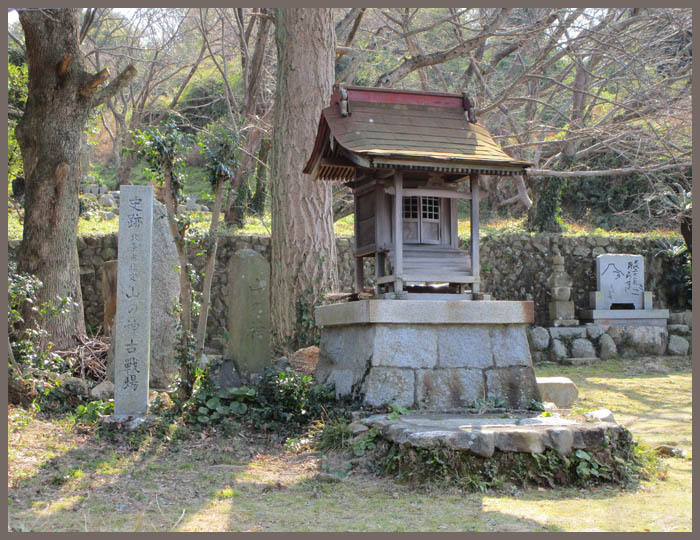 On the left of the sanctuary for Yamanokami there is a rock called 足なし天狗の足休めの岩 "Rock where the Tengu without feet rests his legs"
Once a forest worker was cutting a tree the rock when he had the feeling someone was stomping on his head repeatedly. He got angry and swung his ax in the space above his head - and indeed cut off the feet of the Tengu. The Tengu was not clever enough to sense what the man was up to so he got his legs cut off. The Tengu in this region are also seen as a kind of kaze no kamisama 風の神様 God of the Wind. hate no hatsuka 果ての二十日 the final day 20 . This is an evil day. To avoid angering Yamanokami, people should not enter a mountain. In former times victims used to be beheaded on this day. In 怒和 Nuwa it is called ミテの二十日 mite no hatsuka. It is taboo to go to the forest or go fishing or to cut material to make robes. At 大浦 Oura it is the day of the festival for Yamanokami. On this day it is taboo to go to the forest.
. hate no hatsuka 果ての二十日 the final day 20 . 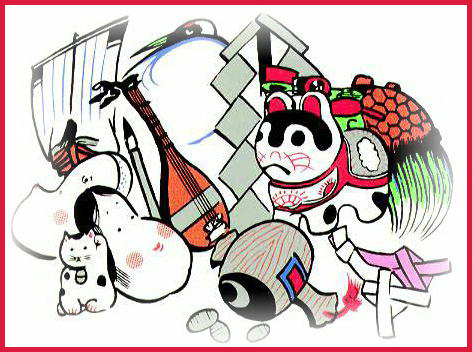 On the 20th day of the first luner month, people prepare a special meal for Yamanokami. If the smoke of the fire while preparing this food comes to the eyes, the person will go blind. 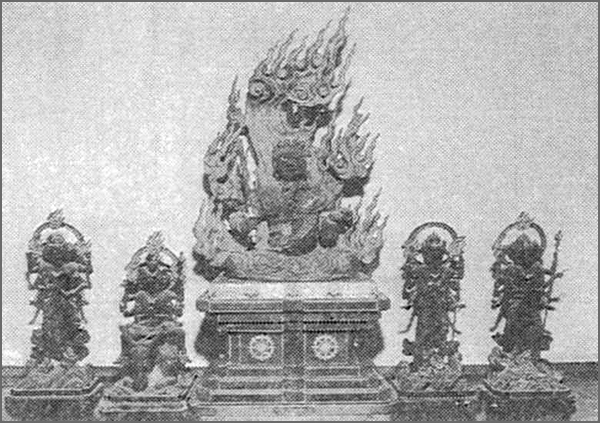 14 families who did not venerate Yamanokami were cursed and their houses burned down. It seems they had chopped vegetables and left them on the stone hearth (ishiguro 石グロ), which is the living quarter of the Deity.
. shishi misaki シシミサキ "Wild Boar Misaki Deity" . inu hito sanjin 犬人三神 "Two Dogs and one man as three deities"
At a small sanctuary at 川来須 Kawagurusu the person 伊藤綱次郎 Ito Kojiro is venerated as a deity. Once upon a time there was a famous hunter in Kuwagurusu, who could throw a spear skillfully. He went hunting with his two beloved dogs, one white and one black. He was attacked by a bear and killed. The two dogs decided to take revenge for their master, killed the bear and then killed themselves. This episode is remembered as "Two Dogs and one man as three deities". Kojiro is now venerated together with Yamanokami as the protector of the area. If someone walks past and happens to see the two dogs, he must return home fast, otherwise he will have bad luck. If someone tries to cut down this kind of tree, he will be cursed, get all red in the face and almost faint. He has to turn to the Northern direction fast, sit down and be fanned with a mino 箕 straw coat three times to get better. It is not allowed to cut a tree of Yamanokami. The huge trees at the top of the mountain are resting places for the local Tengu and if cut down, the person will be cursed. A bifurcated tree with two stems is called heigushi ヘイグシ（幣串) "Shinto purification wand" and it is strictly taboo to cut down such a tree. Once a man took off early in the morning to be the first to climb Mount Ishizuchisan, when a man carrying a young boy on his shoulders came down the path, all clad in white robes. They greeted each other and when the man turned around a moment later to observe the two climb further down, they were already gone. It must have been Yamanokami, who did not want a human to be the first in the morning on the mountain, who got angry. So he had asked his disciple, the Tengu, to interrupt the man on his climb.
. Hōkibō 法起坊天狗　Tengu Hoki-Bo, Hokibo . 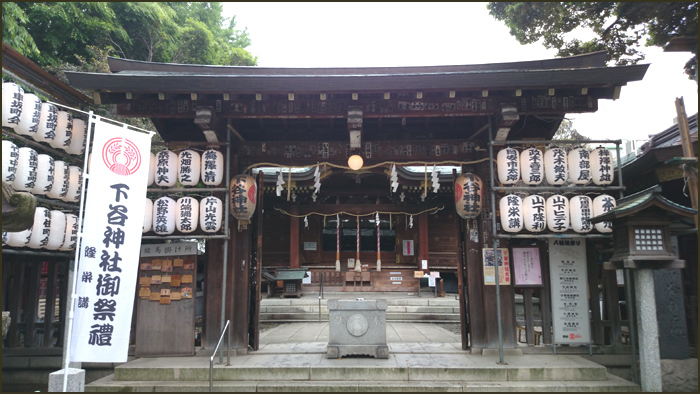 from Fukui 福井県 to 山梨県 Yamanashi - will be updated.
. Pilgrimages in Edo - Tokyo .
. Eigen-ji 永源寺 Temple and 寂室元光 Jakushitsu Genko .
. Engyooji 圓教寺 / 円教寺 Engyo-Ji and Shoshazan 書写山 Mount Shosha .
. Enichiji 恵日寺 Enichi-Ji . Aizu Wakamatsu, Fukushima. 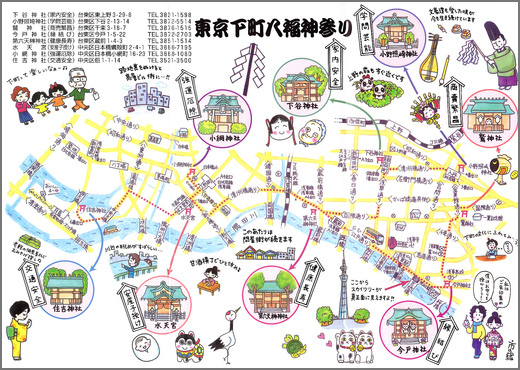 A center of learning for all, founded by Tokugawa Ieyasu.
. Enmadoo 閻魔堂 Emma-Do, Emma Halls in Edo . - - - - - Fukagawa "深川ゑんま堂" Fukagawa Emma-Do .
. Edo Tokyo Pilgrimages - List .
. Ena Valley in Gifu 恵那峡 - 岐阜県 .
. Enmei Jizo 延命地蔵 Jizo for a long life . There are various temples with this name. Here we are concerned with the one in Yamato. It was one of the greatest Shingon temple compounds in Western Japan, built in 1144. But has been demolished during the Meiji restauration period. The pond of the Main Hall is still present. Emperor Godaigo 後醍醐天皇 took refuge here in the Nanboku-Cho period 南北朝時代. It was a well-guarded place of the Esoteric Buddist Shingon sect. 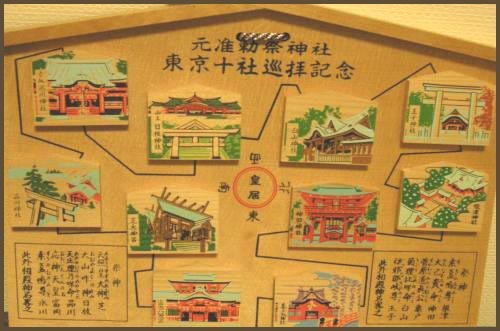 It was also closely connected to temple 興福寺 Kofuku-Ji in Nara and with mountain ascetic practises (shugendoo 修験道). Uchiyama Eikyu-ji Temple was the Jingu-ji Temple 神宮寺 (a temple associated with a shrine) of Isonokami jingu Shrine 石上神宮 in Yamato Province. Written in 1670 寛文10年, Basho age 27. 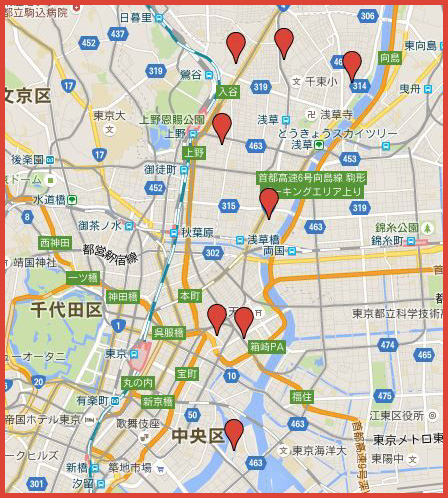 He lived at Iga Ueno at that time and visited the area in Yamato. Basho uses the Chinese characters for a pun 宇知山.
. 白山権現社 Hakusan Gongen Sha - Koishikawa .
. Hie Jinja 日枝神社 .
. Hikawa Jinja 氷川神社 Akasaka 赤坂 .
. Kameido Tenjinsha 亀戸天神社 .
. Kanda Jinja 神田神社 Kanda Myoojin Shrine 神田明神 .
. Nezu Jinja 根津神社 .
. Shiba Daijingu 芝大神宮 .
. Shinagawa Jinja 品川神社 .
. Tomioka Hachimangu 富岡八幡宮 Fukagawa . 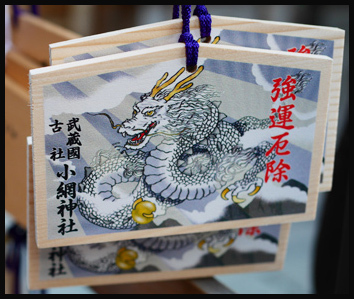 To the important shrines and temples.
. Shrines and Temples of Japan .
. Tokyo - Edo - Amulets .